Our experts design software modules for wearable health technology which facilitates every day monitoring and historical data dashboard applications integrated with blood pressure, vital signs, pulse oximetry, EKG, and glucose monitoring hardware. We develop data repository applications for physiological information in wearable medical devices such as In Vivo Implants and other wearable technology. Development of software for automated defibrillator wearables with integrated Personal Emergency Response Systems (PERS). We develop software for medical and health wearables such as VR (virtual reality) and AR (augmented reality) devices to be used by surgeons and in patient treatment. Development of wearable healthcare technology software for insulin pumps that can administer both basal and bolus insulin. Our developers design the software architecture for automated drug delivery systems via smart watches. We develop voice recording and image capture applications for wearable health devices that are integrated with Electronic Medical Records (EMR) for doctors. Development of healthcare technology software for wireless tracking of medical devices and patients. Our experts develop wearable tech application architecture for brain and eye movement scanners. 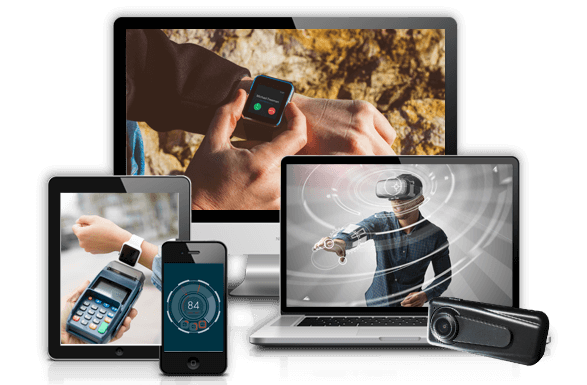 We design software components for medical wearable devices such as pacemakers, with features that will provide wireless and smartphone capabilities. Chetu is the premier provider of custom software development solutions for businesses worldwide. Consult our software solutions specialists now to discuss how our development services will help you overcome your software technology challenges.